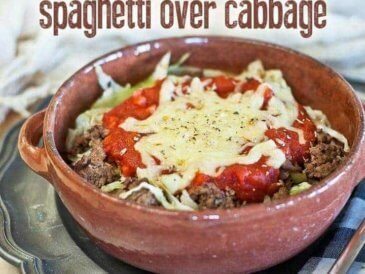 Note from Katie: This recipe is a guest post from Lauren Geertsen of Empowered Sustenance. The crisp, clean fall breeze means reacquainting ourselves with cozy sweaters, mugs of cocoa by the fireplace, and–of course–pumpkins. Pumpkins are everywhere. 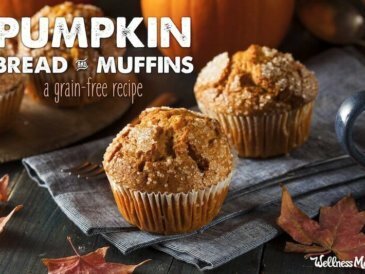 My homepage of Pinterest now resembles a sheet of orange polka dots with all the recipes for pumpkin muffins, pumpkin soups, and even pumpkin smoothies. 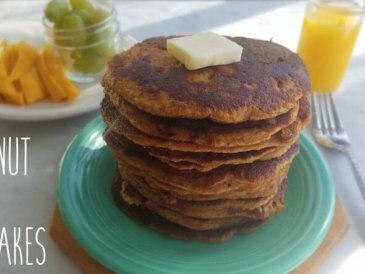 These grain free pumpkin pancakes are my ode to the ubiquitous October squash. To me, fall invites simple and filling food with warm, satisfying flavors. With only four ingredients and nourishing fats from eggs and coconut oil, these deceptively straightforward pancakes fit the bill. At first glance, the short ingredient list appears to lack a rather key ingredient of pancakes: flour. 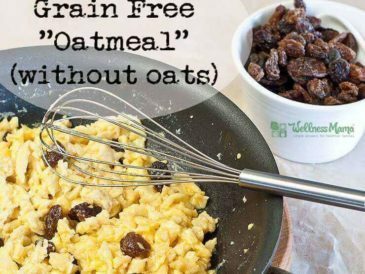 With the term “grain free” in the title, you probably expect the recipe to call for pricey coconut or almond flour. 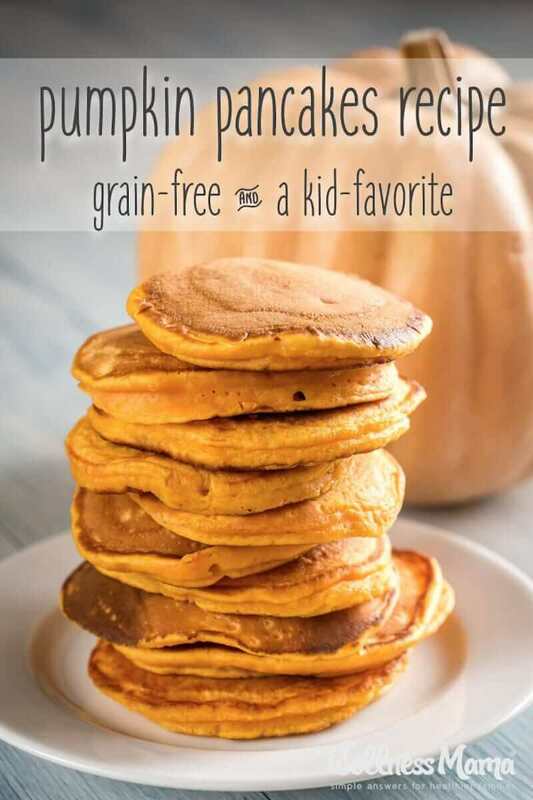 Instead, eggs and pumpkin puree work as a binder in these pancakes. As one would expect, these flapjacks boast a texture unlike flour-laden ones. I think these resemble thick, hearty crepes. And the best part? 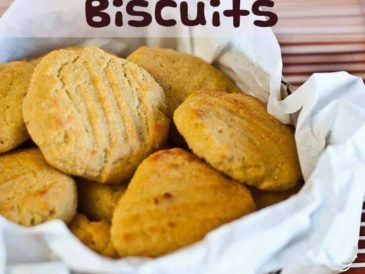 They stand up to copious dollops of butter and won’t disintegrate under a river of raw honey or pure maple syrup. Warm a cast iron pan over medium high heat. Whisk together the eggs, pumpkin puree, and cinnamon. Add about a Tablespoon of coconut oil to the hot pan and swirl to cover the bottom of the pan. Use about two scant Tablespoons of batter for each pancake. They flip best when the pancakes are small. Cook until golden on the bottom and slightly opaque in the center and around the edges. Flip, brown on the other side, and serve. Makes about 8 small pancakes, for 1 large serving or 2 medium servings. These pancakes do not contain any form of flour at all, so they will be a bit thinner than traditional pancakes -- more like a crepe. 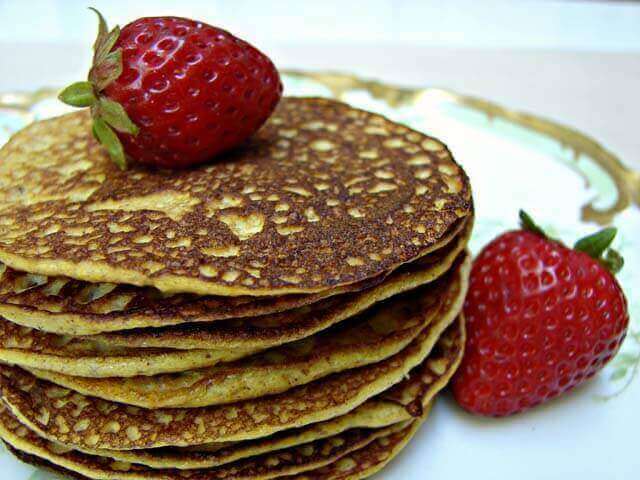 Ever made grain free pancakes? What’s your favorite? Share below! About the Author: After struggling with ulcerative colitis for five years, Lauren Geertsen decided to dive head first into healing her body with nutrition and a holistic lifestyle. 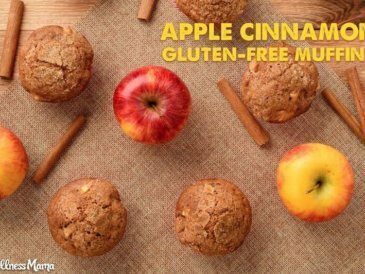 She follows the GAPS diet and enjoys sharing her creative, grain free recipes and healing tools with others. She is a real food blogger and Nutritional Therapy Practitioner on a mission to heal her own body holistically and help others do the same. Check out her blog, EmpoweredSustenance.com.